How a non-profit organization is healing the Great South Bay by bringing the community together as a force. The South Shore of Long Island is home to the Great South Bay, and the island’s natural habitats and species rely on the bay to be a clean and healthy environment. Save the Great South Bay is a non-profit organization that is devoted to cleaning up the bay and protecting the natural environment that makes up the South Shore. Founded in 2012, Save the Great South Bay (SGSB) holds events year-round to help get the community involved in keeping the bay healthy. 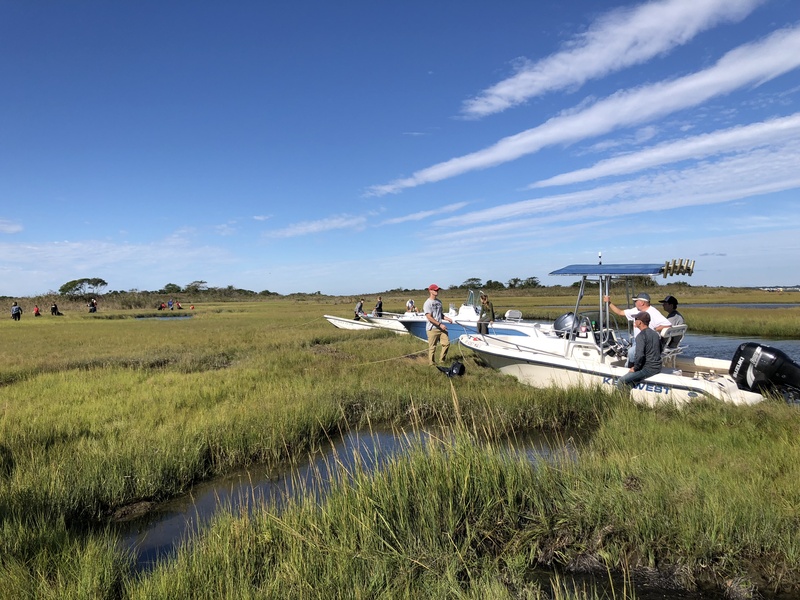 From local cleanups, to holding concerts to raise money, SGSB strives to be integrated into the many communities that make up the South Shore. Brown said that SGSB uses their Facebook as well as other social media platforms to inform the community about events they are having. One of the most recent events that the organization held was a large cleanup at Gilgo Island with Great South Bay Society. There were 14 boats on the water and about 80 people participating in the cleanup. Usually, the cleanups consist of people jumping on paddle boards and getting out onto the water to pick up trash and other debris. “This last Earth Day … we pulled 39 car tires out of Carll’s River in Babylon,” Brown said. Brown said that a great way to help save the Great South Bay, aside from attending cleanups, is to plant bay-friendly gardens in your own backyard, consisting of native plants which will help keep the groundwater filtered.